Is it Bedtime yet? : Denist & Dancing. You just made me miss my girls at that age. I love the precious candids you caught through the window! So adorable that they danced every time the music played! I love it! We have that movie. I subject my boys to watching it. Come on, there is sword action!! Or, maybe that's why Malachi is taking ballet now. bozo the clown was put through a blender...you kill me!!! LOVE Anne of Green Gables... and my hubs gives me the same weird looks... but he's a guy... he doesn't understand. And I love the pics you got through the door/window! Precious!!! The nitrous is worth every penny - totally worth the sacrifice. 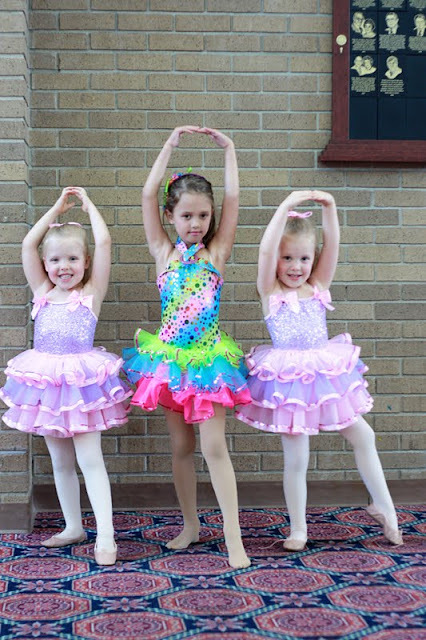 Oh my gosh, I love Alex's ballerina costume....the other two are so...uhmm generic....Alex stands out and I was thinking the girl love bright colors! !